Land cress (Barbarea Verna): growing, planting, caring. Not actual cress - but so easier to grow, and delicious ! Land cress is considered a satisfactory substitute for watercress. It can be used in sandwiches, or salads, or cooked like spinach, or used in soup and fish. Land cress can be grown easily in any garden. Like watercress, it loves water, but does not do well when partially submerged for long periods of time. This perennial needs full sun and frequent watering in any garden, unless near a direct source of water. Garden cress is a biennial plant that loses its leaves in winter, and blooms in the second year. The young leaves are rounded, whole, then they become toothed and elongated. They are initially a basal rosette and then alternately inserted on the erect stems. In the second year the watercress ramifies and forms yellow flowers reminiscent of those of mustard, in erect clusters. Adult watercress measures between 20 and 50 cm. Sow between March and August. Sow in ordinary, rather moist soil, in the open ground or in pots filled with potting soil, in the sun or in semi-shade. Space the lines 30 cm apart, and space the seeds as regularly as possible: you can mix them with sand for easy handling! Work the topsoil finely, leaving no clods, finishing with a scratching and a delicate raking. Sprinkle gently with the watering can or better, with the sprayer, without creating a swirl that would take away the seeds. 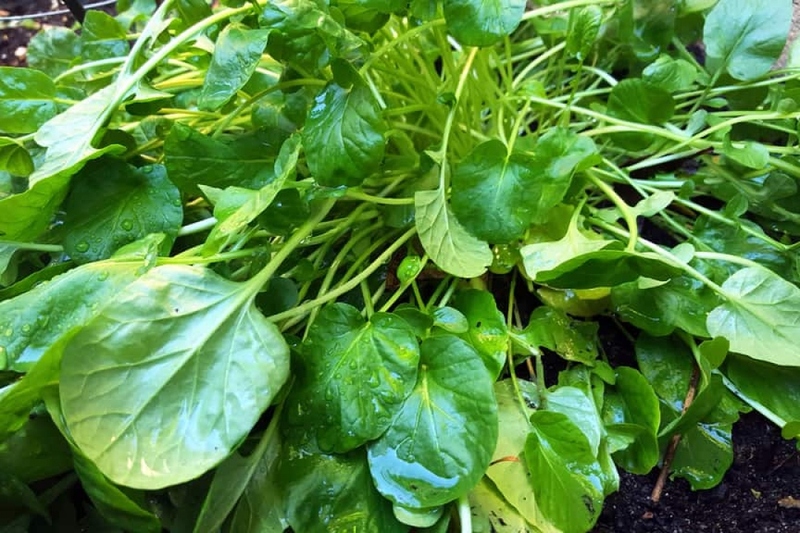 Water often, otherwise the leaves of your garden cress will become tough. The first month water gently not to damage the seedlings. Keep the earth moist all the time. Mulch your garden cress before the summer, it will avoid you some waterings. Grass clippings and dry leaves are a suitable mulch. After emergence, (two weeks after sowing) when your plants have leaves, thin them out, leaving only one plant every 10-15 centimeters, to facilitate their growth. Harvest according to your needs, beginning two months after sowing, by cutting the leaves to the ground.